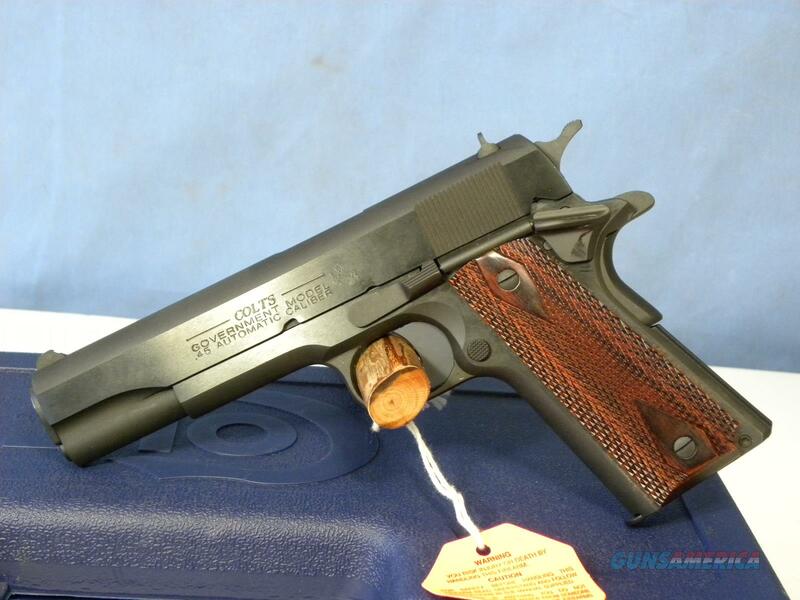 Description: NEW COLT 1991A1 SERIES 80 GOVERNMENT MODEL IN .45 ACP. FULL SIZE, SEMI AUTO PISTOL WITH SAO TRIGGER SYSTEM IN BLUE FINISH. COMES WITH 5 INCH BBL, ROSEWOOD DOUBLE DIAMOND GRIPS & WHITE DOT SIGHTS. COMES WITH TWO SEVEN RD MAGS, TRIGGER LOCK, HARD PLASTIC CASE, LIFETIME WARRANTY & MANUAL.